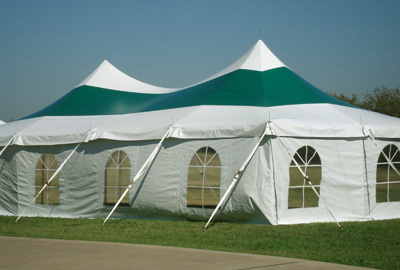 Tension tents create a lovely profile for just about any event. This is a replacement set of poles and stakes for the 40' x 60' Mystique tension tent. The set includes galvanized steel poles with triple reinforced stress points. Everything is made with the custom high peak engineering that makes these tents so beautiful and sturdy. Also included are 42" stakes for proper anchoring, and tent bags for efficient storage and transport. A 1-year manufacturer's warranty applies.